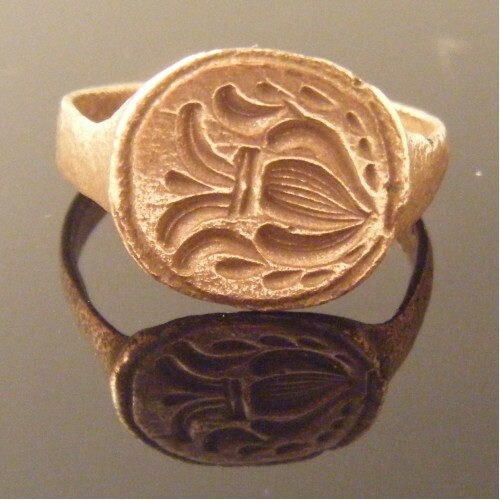 Authentic Ancient Mediaeval Heraldic Bronze Seal Ring. Circa 11th to 15th century AD. 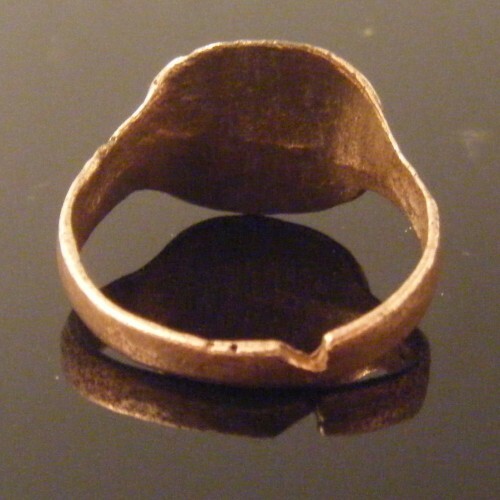 Hoop has been cut and split at some point in antiquity. Could be worn but with care hence low price. 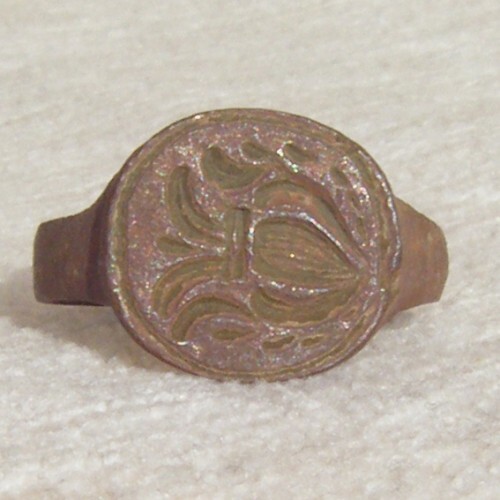 Seals were common in Medieval times as identification. 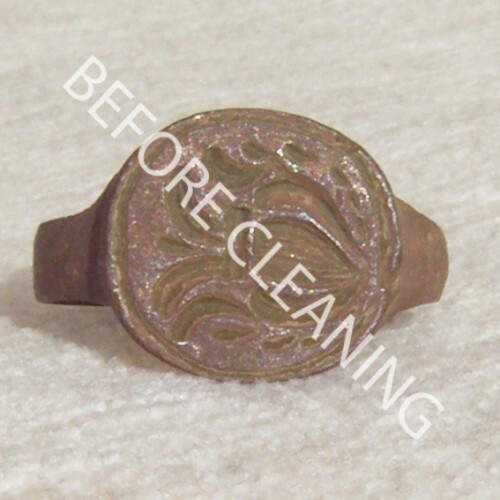 On legal documents and letters, the seal was a ratification of authenticity. 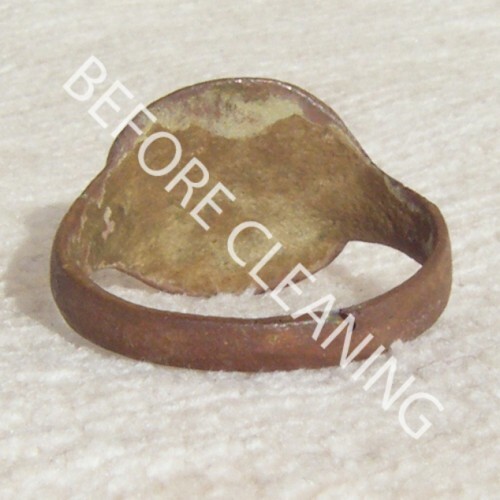 On closed up letters, the seal served to ensure that the letter arrived unopened and untampered with. On official documents delivered open, the seal, displayed either on the face of he document or hanging from it on parchment strips or cords, served to verify the agreement of interested parties to the document. The seal served in place of an autograph signature. This practical and legal function did not prevent the seal from becoming an art form in its own right. Seals became exquisitely crafted and in many cases, very elaborate.